The kiwiberry has been granted permission to be marketed in the UK after lobbying by the Fresh Produce Consortium (FPC) proved it has sales potential. The fruit had been facing a potential ban and would have had to apply to be sold as a ‘novel food’ under current EU legislation. But the FPC said that sales are already worth £1 million, and noted that kiwiberries are a “fledging fruit sector”, but one that is growing. Under the EU Novel Foods Regulation any product that is deemed to have insufficient evidence of production and consumption in the European Union prior to 1997 is regarded as a novel food. Kiwiberries had been marketed for years in mainland Europe but the UK regulatory authority required further evidence. Lobbying from the FPC, with support from partners across Europe, the European Commission has now confirmed that a kiwiberry is a kiwiberry, and not a novel food. “This was a classic example of poor UK interpretation of EU legislation not working for fresh produce and stifling innovation by UK growers,” said FPC chief executive, Nigel Jenney. Jenney said the case proves the need to ensure that the UK does not take the easy route “to transfer EU regulations lock, stock and barrel across into UK law”. "We will be scrutinising the process carefully. 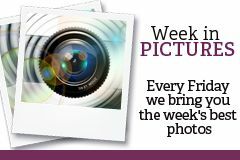 The complicated framework of EU and national legislation covering our industry will require prioritisation of work by lead government departments and agencies. We must ensure that UK fresh produce companies can continue to trade effectively once the UK has left the European Union,” he added. 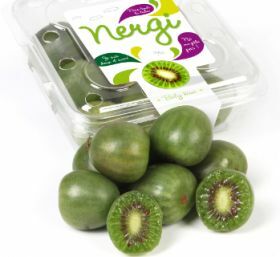 Kiwiberries are already present in the UK retail market, including baby kiwiberries under French marketer Primland's Nergi brand.